A NEW Publix is coming to town! Indialantic residents have been speculating for several months about the mystery grocery store they were promised. Would it be a Trader Joe's? Sprouts? Aldi? Lucky's Market? Nope, none of those! Instead, Indialantic is getting a brand new Publix... but not just any Publix. 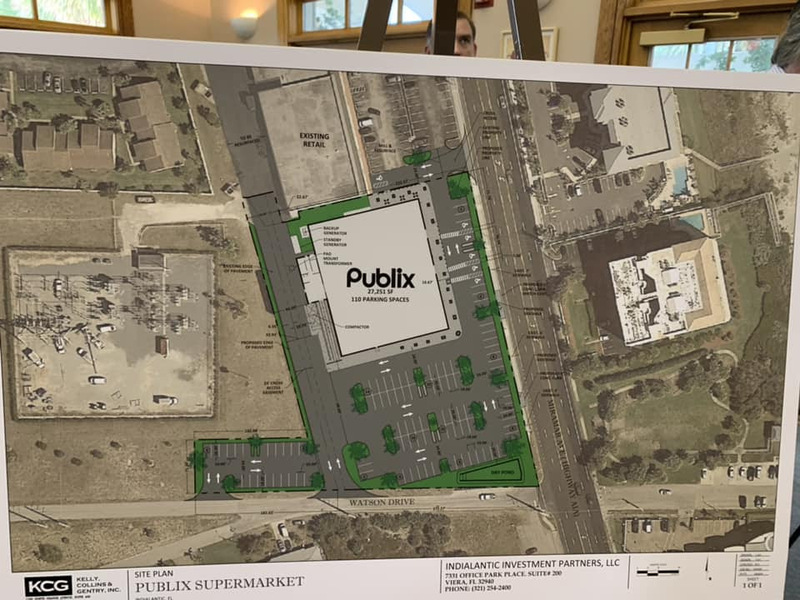 Publix has plans to build a "concept" store - meaning the design of the store and the products it stocks will be specific to the community it supports. It is expected to have fresh prepared foods, specialty meats and cheeses, organic foods, cafe seating indoors and out, etc. The store will be built alongside the Indialantic Center shopping plaza on A1A and may be open by the end of 2019 or early 2020.